(December 12, 2017; Helsinki, Finland) Finnish start-up Tales by Trees has joined forces with textile artist Elina Helenius and designer Saara Renvall to introduce a new minimalist art piece with a message. 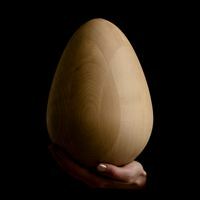 This week, Tales By Trees launched an Indiegogo campaign to fund the Seed, a series of individually numbered ovoid sculptures made from Nordic wood, which stems from the collaboration. The campaign will also include the first English printing of the brand’s award-winning art book series; three fairy tales about the relationship between nature and humanity. The Seed is the first in a series of introductions for the art and design market from Tales by Trees. The brand will introduce new designer collaborations and net positive designs in 2018 in categories including decor and wall art, home textiles, jewelry and books. Each design will be developed to support the company’s net positive model, increasing natural resources and achieving a measurable benefit to the natural environment. With each introduction, Tales by Trees hopes to give its customers an opportunity to combat climate change and biodiversity loss with simple, but impactful designs. When Pyhältö met Helenius and Renvall, the trio discovered a common interest in achieving a design solution that would give more back to the planet than it takes. Between them, Helenius and Renvall share a knowledge of surface, spatial and furniture design. Combined with Pyhältö’s passion for net positive design, the Seed emerged as a simple concept with a positive impact on the earth and a strong message for eco-conscious design lovers everywhere. Pyhältö also teamed up with scientists and organizations to ensure Seed production could have a truly regenerative impact. With a mission to combat global deforestation, for every tree cut to make the Seeds, Tales by Trees will plant 1250 new trees and protect over 2500 ft2 of forest. Though the brand sources its materials and inspiration from certified sustainable Nordic forests, its regenerative efforts are focused elsewhere. Almost seventy five percent of Finland is covered in forest-land. By planting trees in tropical Africa, where they’re better able to reduce the effects of climate change and benefit local communities, the brand can achieve a more powerful impact. Tales by Trees hopes to expand its regeneration campaign as it grows. “This is just the beginning. In the future, as we introduce more net positive art and design, we aim to diversify our positive impact to benefit more regions around the world,” says Pyhältö. 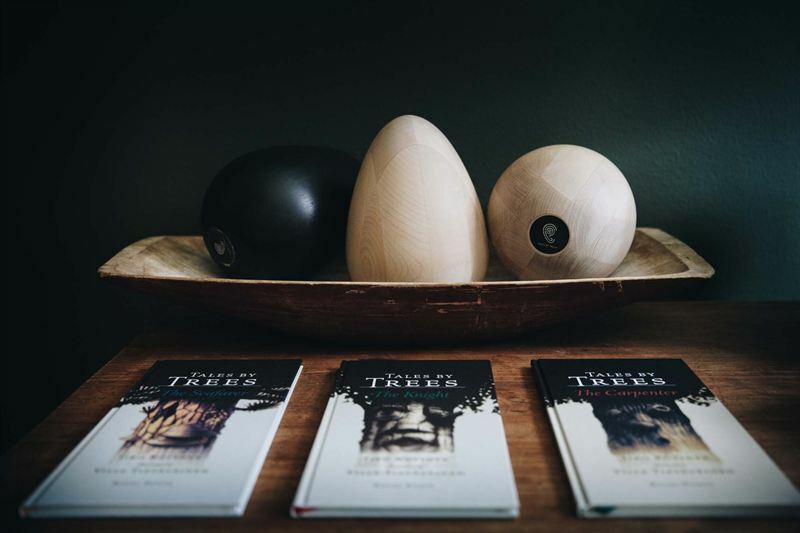 Tales by Trees is a net positive art and design company. Our customers rebuild the planet, piece by piece. For more information, see www.talesbytrees.com.